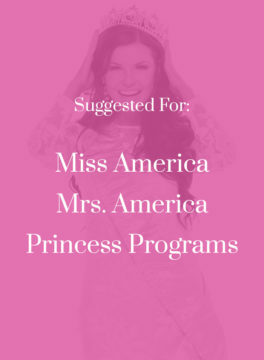 Crown Couture Collection is proud to be the official and exclusive sponsor for the USA Ambassador pageant. 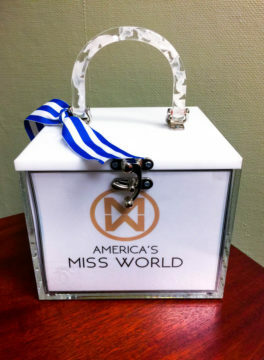 This box will fit all state crowns and has been made custom to the blue, silver and white colors of USA Ambassador. 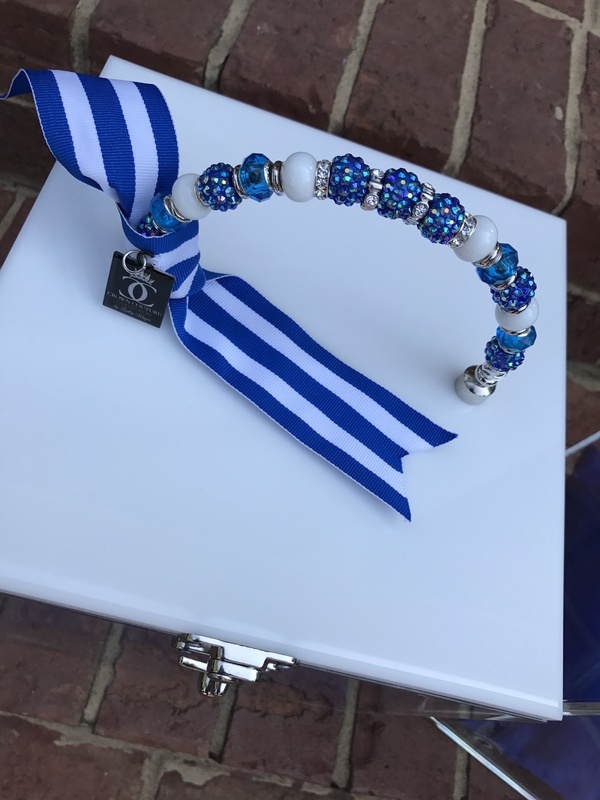 Each one features a beautiful beaded handle, mirror inside for touch ups on the go, pillow and ribbon, and exclusive Crown Couture charm.